With a true entrepreneurial spirit, Cosimo Pantaleo CA defies the traditional labels of the accounting world. He believes in maintaining work/life balance, while still advancing the goals of the companies he consults for. From Tax Manager, to small business owner, to North American Head of Finance, Pantaleo’s story is one heck of a ride. In a previous post we talked extensively about why you would want to have a mentor and only briefly on how to find one. In this next post, we’ll offer four specific steps to help you select and connect with your future mentor. Join an Internal Mentorship Program – Internal mentorship programs have long been viewed as a way for corporations to train and retain quality employees. As a result, they are a natural place for you to meet and connect with a mentor. While the mentors may not be the most senior person in the organization, they are often people who have the trust of those in senior positions and more importantly, a genuine willingness and enthusiasm to engage in the mentorship role. An internal mentorship program already has the framework established for you to have an open exchange of ideas and to seek support if you need it. If your company has an internal mentorship program, you now have a way of connecting with someone who has the wisdom and know-how to support and nurture your professional potential. Craig Broughton’s story is one of perseverance and determination. It demonstrates how being adaptable and forward thinking can allow you to make the jump from VP to the top finance job. It also shows how putting the key people in place, not getting too comfortable and taking one step at a time can set you up for a truly successful finance career. When we interviewed several high-ranking finance executives, we found that they all identified a mentor as one of the main reasons they were successful today. How can a mentor help you get a great accounting job? First, identify a mentor – A good mentor has a willingness to share knowledge and expertise – it comes naturally to them and they do it in their everyday lives. Ideally, he/she would have the same core values as you, have a positive attitude and act as a good role model. An excellent mentor is enthusiastic about their field, and is someone who is respected by his/her colleagues at all levels of the organization. A good mentor has a willingness to share knowledge and expertise – it comes naturally to them and they do it in their everyday lives. What was it like to immigrate and enter the Canadian job market? Before immigrating I had visited Canada and noticed that it is a real “live and let live” society that feels safe and good for a family. At the same time, anyone who has immigrated will identify the following conflicting mindset: ”Do I leave behind my extended family, my hard work and my reputation to start over in a new place all for the promise of something that might be better?” During the entire process my wife and I went from being successful professionals to an unknown quantity and that is scary. The reality is that you enter the country and immediately are perceived as a rung below a similarly qualified local candidate with local credentials. The Canadian market places significant stock in accreditation and designations and generally you need to have a local CA, CMA, CGA or another credential to be considered, especially at organizations with substantial and influential human resources departments. For many of us the thought of working abroad fills us with trepidation. We ask ourselves if our future career will be negatively impacted, or if the skills we gain working abroad will transfer successfully to our home country. The reality is that there are a number of advantages to be gained working abroad, regardless of whether it is our first step in creating a viable financial career, or a step that our present company requires of us. Develops Cross-Cultural Competence – There is no doubt that globalization has reshaped the flow of information, goods and services throughout the world. Working abroad can foster the cross- cultural competence that many Canadian companies are looking for as they seek to expand their overseas or even domestic operations. A prospective employee, who shows that he/she can live in another country, while advancing the company’s objectives, is a valuable asset indeed. In addition, companies who are not Canadian, but want to establish themselves in Canada, value someone who has a multi-cultural perspective. Taking a job with a company that is located in another country, but has global brand awareness, can also position you for success back home. It may help you build your global network and potentially aid you in making the transition back to Canada when you are ready. Regardless of your motivation for working abroad, the reality is that most major industries in Canada now consider cross-cultural competence a significant asset. In addition, companies who are not Canadian, but want to establish themselves in Canada, value someone who has a multi-cultural perspective. Builds Confidence – Nothing builds confidence like coping with the challenges of living in a new country and being successful. This type of confidence is unique in that it comes from pushing yourself, testing your limits and emerging a stronger, more capable person. 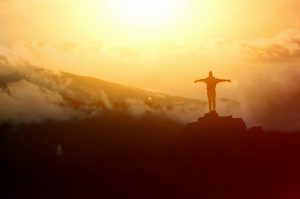 In an interview, it is this confidence that makes the hiring agent believe that you can handle whatever is thrown at you and that your ability to deliver on goals, regardless of circumstances, is not in doubt. This type of confidence is unique in that it comes from pushing yourself, testing your limits and emerging a stronger, more capable person. Demonstrates versatility, entrepreneurship, independence and resourcefulness –How resourceful are you? In order to live abroad you must have a flexible and resourceful personality. Businesses today want individuals who are versatile, and able to transition seamlessly between one demand and the next. Working abroad fosters an entrepreneurial mindset, where calculated risks are taken and adaptability is the name of the game. These skills are prized in today’s fast moving organizations. If you do work abroad, take the time to embrace the culture, get to know the people and accept that things will not always go the way you expect them to. The food, culture and way of life will be different. It takes a truly resourceful person to excel in another country and companies value resourcefulness. Working abroad fosters an entrepreneurial mindset, where calculated risks are taken and adaptability is the name of the game. If you are considering working abroad, research where the real opportunities are. In finance, perhaps more than in any other professional sector, there can be a strong ‘disconnect’ between where people would like to live abroad, and where the opportunities are. Ask yourself what your goals are in seeking a position in another country. Is it for the experience, or to position yourself for advancement? What opportunities does your current organization offer for you to work in another country? Are you doing it for the adventure and challenge of ‘making it work’ overseas? Perhaps you want exposure to a world-class brand. Regardless of your motivation, rest assured that in today’s global marketplace, a resourceful, confident person, with cross-cultural competence, is a highly desirable employee for any company. Clarity Recruitment has officially opened its doors for business and has taken a new and innovative way to attract highly-skilled accounting and finance professionals. Serving the Greater Toronto Area (GTA), Clarity Recruitment is a connected source for the Chartered Accountant (CA), Certified Management Accountant (CMA) and Certified General Accountant (CGA), focused on Toronto finance and accounting jobs. Along with our tenured team of highly networked, top performing recruiters in the finance and accounting marketplace, we offer online functionality that caters to professionals who are demanding a modern way for effective career management. At Clarity Recruitment, we understand that the right professional can drive incredible results and move an entire organization forward. As part of our commitment to innovation, Clarity Recruitment unveils a completely new, proprietary recruiting technology called Luma-Fi: the Candidate Visualization Engine (CVE). As a finance professional looking for an accounting job, this technology ensures that most relevant talents for each position are displayed quickly and easily to ideal employers. As a hiring professional, Luma-Fi: CVEmeans you gain clarity on the best fit for your open job with lightning speed. At Clarity Recruitment, we understand that the right professional can drive incredible results and move an entire organization forward. We focus on helping customers to quickly identify, hire and retain the best available experts to help protect and grow their businesses. We invest in our staff, offering advanced training in sourcing, assessing and delivering exceptional talent. We are innovative, hungry and here for the long haul. Read our STORIES page and get inside knowledge about how some of the most successful accounting and finance professionals in the GTA built their careers. Learn the shortcuts that can take you from your current position to the top of your game. Learn the shortcuts that can take you from your current position to the top of your game. Our BLOG offers tips on getting hired and succeeding in your career. Read first person insight into the ins and outs of working in accounting and finance in the GTA. Save yourself from a career misstep by knowing whether you are a fit for a particular industry or position. JOBS takes you through the positions that Clarity Recruitment is currently working on within the GTA finance and accounting marketplace. See jobs that have been filled, our current openings and consider sending us your resume. 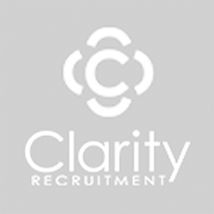 At Clarity Recruitment we are committed to success – for our company, our clients and our candidates. Thanks for stopping by and make sure you visit us here often. Although now settled in a leadership position at Cline Mining (a growing exploration miner), South African born Ernest’s journey over the past 15 years has taken him around the world to settle in Canada, from CFO to a fresh start and back again, and across multiple sectors. What was your life like between the times you graduated and when you left PricewaterhouseCoopers in South Africa? Well I had graduated with a B.Com majoring in computer science and decided to keep going and get my Bachelor of Accounting Science. My father encouraged me to either work in finance or accounting due to the diversity of opportunities and he nudged me in that direction. To be fair, there were fewer opportunities in computer science at the time and I had to assess what was going to get me further along the path to a successful career. PricewaterhouseCoopers (PWC) was my first choice and I jumped at a chance to work there. During my time at PWC I was exposed to various industries and sectors and was exposed to all levels of these organizations. This was a major benefit career-wise despite more lucrative opportunities being available in entry-level financial services and general management jobs.